Melissa has a bachelor of science in business administration and minor in marketing and Spanish. she opened rebel in august 2016.
she was on the junior national development rowing team. after college, she made the Colombian national Olympic team. she competed in the world championships in the woman's scull. 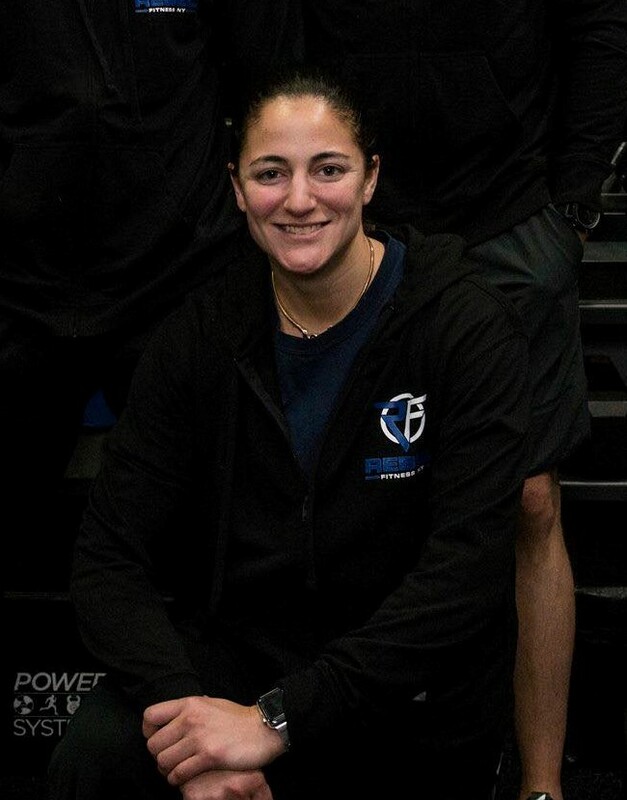 she is certified in nasm, cpr/aed, annette lang strength and stretch, trx, Mad dogg spinning cert, pre and post natal, bosu cert, kettlebell concept certified, and is currently working on her boxing certification. she loves peanut(the gyms mascot). Mark graduated from the university of Rhode island with a bachelor of science and major in kinesiology- exercise science. He was a two time atlantic 10 champion 2013 and first round ncaa qualifier 2013 at uri. he was also the school record holder for 4x400 meter & high hurdle shuttle. He specializes in sport conditioning, strength training, and band work. he loves anything that has to do with exercise! Carmine went to the university of central florida. he is issa, cpr/aed certififed. his specialty is mixed martial arts. he has been in marital arts for almost 30 years.